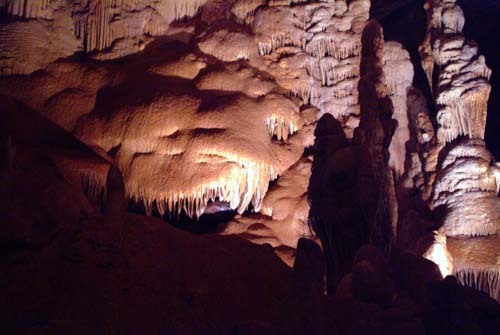 In March, 1988, the Nature Conservancy purchased the land from the Kartchners and protected it until the Arizona legislature approved funding for the Kartchner Caverns State Park in April, 1988. At that time the public was let in on the secret and public tours were initiated in the first section of the cave (where the Rotunda Room and the Throne room are located) in November, 1999. Abby and I participated in one of these early tours.